If you are trying to run Mint 11 or Ubuntu 11.04 on an Acer Aspire 4830T TimelineX Laptop, then you’ll no doubt notice the lack of audio from the internal speakers. Luckily, fixing the issue is painless. You’ll get a nice GUI, in which you should first click “Node[0x1b] PIN“. Then, under EAPD, click the box next to EAPD. Go ahead and exit the application by clicking the “x” in the top right corner. You’ll then be asked if you wish to revert settings. Simply click “no”. Almost done, just go ahead and reboot your machine. You should then be able to enjoy audio from your internal speakers. Thanks ! It do work!!! This works for my timeline, but when i restart my computer all settings are gone. 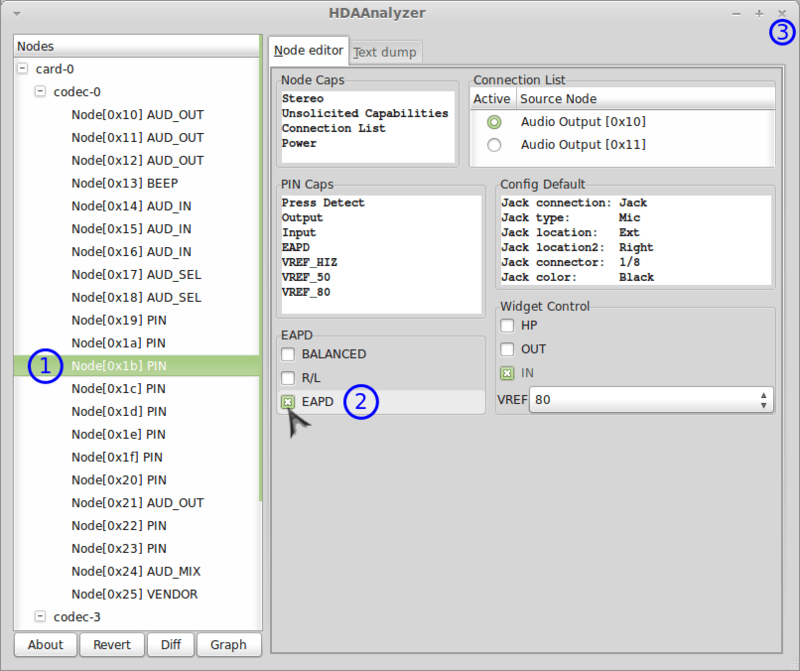 I have to download the hdaanalyzer again and put the EAPD setting on. Do you have any idea what i can do to save the preferences permanent? Thanks!! It really works for my Timeline 3830TG as well! However, when I plugged earphone, the internal speaker keep working. I expect when I plug earphone, the speaker should be stopped. same here, speaker works, but not the headphone jack. I got sound on restart or after suspend to ram. Got the problem with the earphones solved and got a working mic recording. That’s great! Worked for 5830TG! This freezes my system on installation. I can’t even change to another tty to login and kill it. Had to to a hard shutdown :(. Sometimes I hate Linux. Its OK on desktops, but the laptop vendors just don’t provide enough compatible drivers to use Linux in a productive environment. This fix did not work for me. Disabling EAPD (it was activated in the beginning) did nothing. and then selected “enable” in node 0x1b and selected NO when it asks to reverse. It worked for a while but after every update I had to do it again (and then worked until the next update). My problem is that after my last update today this solution doesn’t work anymore… Any idea???? This technique resolved my lack of audio on a Sony Vaio Fit 14-A running Elementary OS Luna. Thanks!